Chief Minister of Maharashtra Devendra Fadnavis with his mother Sarita Fadnavis and wife Amruta fadnavis just after the three voted for the NMC polls. 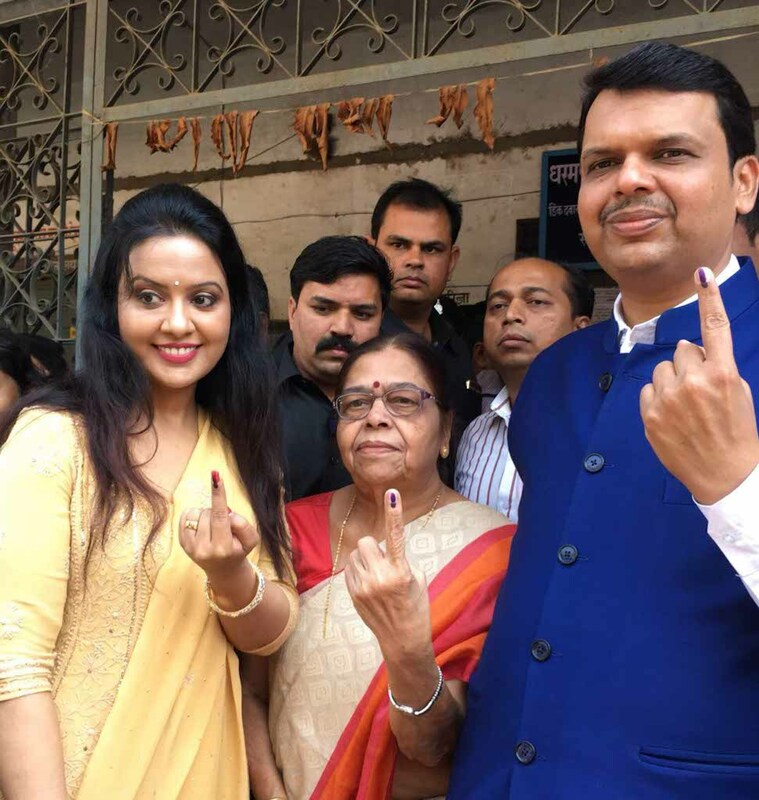 Today as Maharashtra voted for the elections of 10 civic bodies in the state, the Chief Minister of Maharashtra Devendra Fadnavis also exercised his right to vote by voting along with his mother Sarita Fadnavis and wife Amruta Fadnavis for the Nagpur Municipal Corporation elections. He shared a picture along with the two important women in his life on his twitter account just after the three voted. The caption read, ‘Exercised my voting right! Did my duty. Did you? मी माझा मतदानाचा हक्क बजावला! तुम्ही? #Voted4Transparency #VoteKarMaharashtra’. Here’s the video of Chief Minister Devendra Fadnavis accompanied by his mother and wife while the family was on its way to vote.